Steve wrote that Paco had a follow up appointment in Grand Rapids today. All is healing well and the doctor gave Paco the green light for bowling and throwing again… just needs to start slowly. 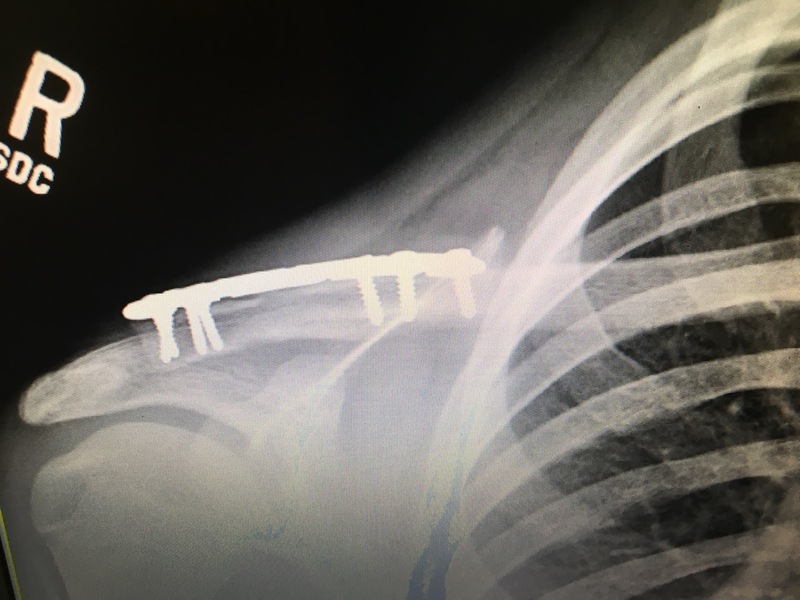 The surgeon also recommended some exercises with one of those rubber bands to strengthen Paco’s rotator cuff muscles. We also had a doctor visit here. Clark saw his internist for a general physical. Clark has been in a lot of pain due to the pseudogout in his wrist and elbow. He is wearing a brace on his right wrist. He cannot grasp things. The doctor said there is no remedy for pseudogout which is deposits of calcium compound crystals. I just checked on line and it says: “True gout (uric acid crystals) is a metabolic problem and can usually be brought under control with dietary measures or specific drugs. After Clark’s appointment, we headed to Lodi and took my friend Joanne Donovan out to lunch for her birthday. We went to Wine and Roses Inn which I had not been to in probably 15 years. The gardens surrounding it have grown very lush. I had a very tasty Tamale Pancake which I had never heard of before- a masa pancake piled high with chicken and avocado salad. 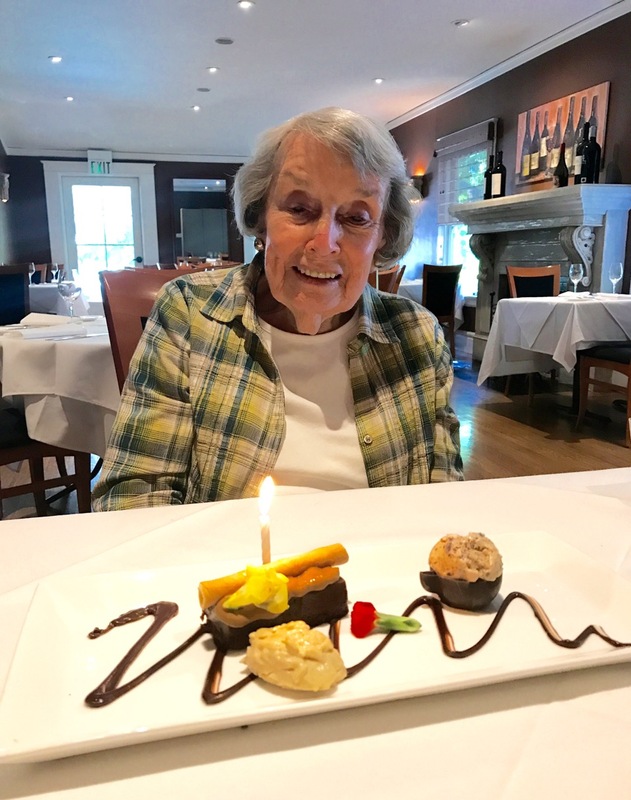 Joanne is shown below admiring her birthday dessert: chocolate torte – that’s a yellow snapdragon decoration on it – accompanied by a little bit of mousse and some ice cream in a chocolate shell.